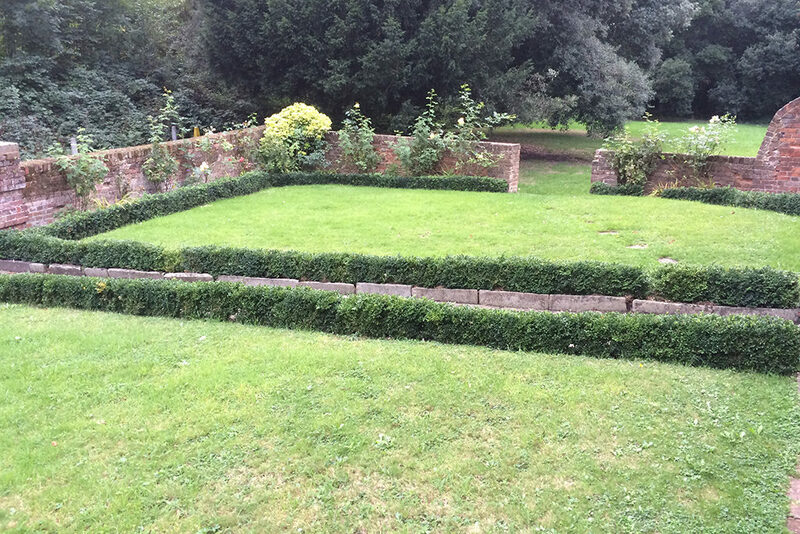 These consist of a walled garden with lawns and surrounding borders with two narrow borders outside the front wall and two rectangular plots to one side of the wall. These have been dug over and planted with over 730 plants the Georgians would have known and used. 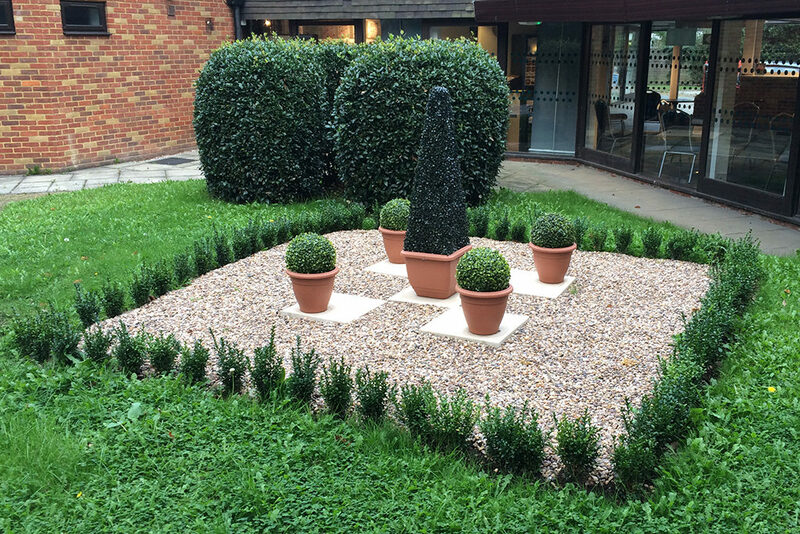 The patch of land at the back of Ickenham Hall is looked after by the Friends too. It was tended during the Spring and Summer. and events raised money to plant bulbs in this area. 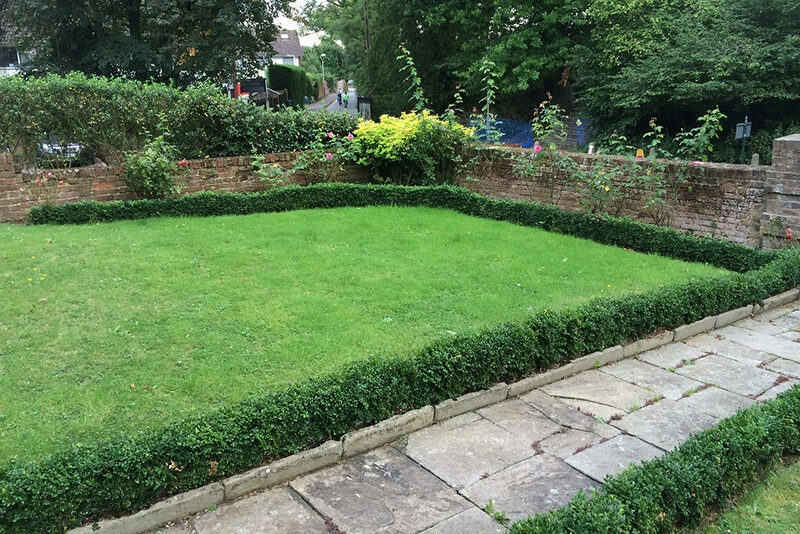 More recently, it was decided to gravel over this area and plant a small hedge around its perimeter because it would make caring for this area easier.